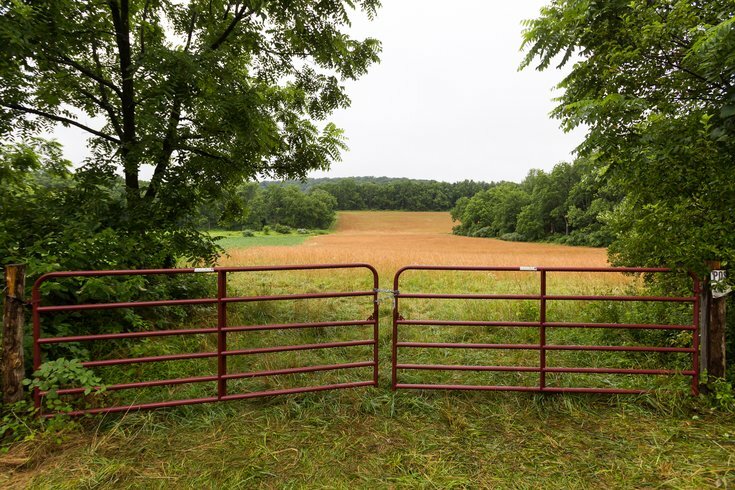 On the day prosecutors announced charges against two men accused of carrying out four murders on a Solebury farm, Bucks County residents described a community stunned that such a gruesome crime occurred in their bucolic backyard. "It's scary," John Englehardt said as he walked Friday morning through New Hope, less than four miles down Route 202 from the murder scene. "We feel like we live in a bubble here because it's a safe environment. These things weren't supposed to happen here." 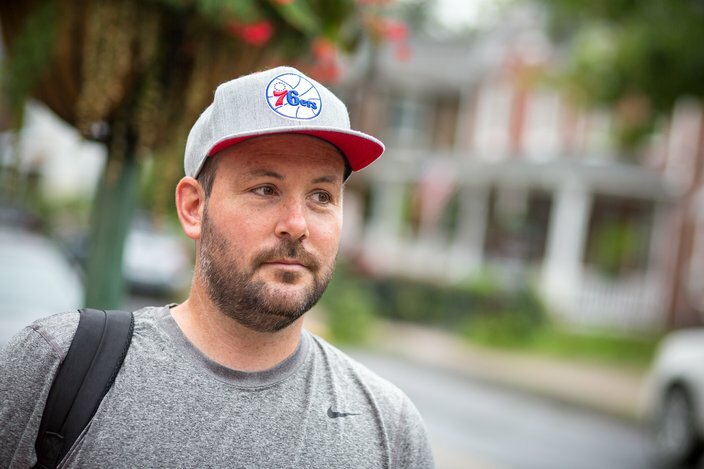 Like many residents, Englehardt said he was gripped by the week-long investigation, which began as a search for four missing men – three of them from Bucks County – and grew into a quadruple homicide investigation. Cosmo DiNardo, 20, of Bensalem, and Sean Kratz, 20, of Northeast Philadelphia, were charged Friday for their roles in the slayings on a farm owned by DiNardo's parents along Upper Mountain Road. Investigators discovered three of the bodies buried in a deep grave on the farm. The fourth body was found elsewhere on the 80-acre property. "I feel horrible," said Englehardt, 36, of Newtown. "I think people are looking for 'why?' Usually, there's a motive. It's hard to see what that is or was." Charging documents detail the slayings of Dean Finocchiaro, 19, of Middletown Township; Tom Meo, 21, of Plumsteadville, Jimi Taro Patrick, 19, of Newtown; and Mark Sturgis, 22, of Pennsburg, Montgomery County. Each of them was gunned down after arranging to purchase marijuana from DiNardo. But Bucks County District Attorney Matthew Weintraub said the motive is difficult to decipher. That will not stop many people from wondering. Several locals said talk of the homicide investigation has been inescapable, not only due to its gruesome nature, but also because such a crime is a rarity in this part of Philadelphia's northern suburbs. 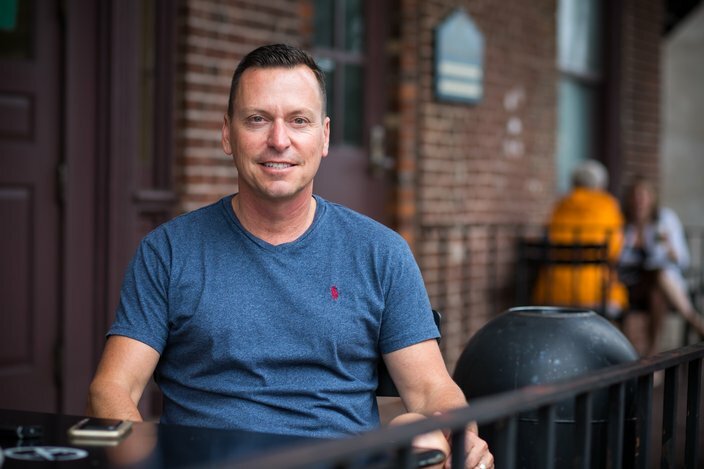 "It's been the talk of every place," Scott Sutherland, 55, of Solebury, said as he sat outside a coffee shop in New Hope. As investigators searched for days without finding the men or their bodies, the case gained national media attention. By the time Weintraub announced murder charges against DiNardo and Kratz on Friday afternoon, about a dozen television crews lined a room inside the Bucks County Courthouse in Doylestown. Throughout the week, traffic slowed along Lower York Road as passersby gazed at the entrance to the DiNardo property. "We've had friends, far and wide, from across the country emailing to express their concern," Sutherland said. "We've never had anything like this in this town. We're quiet around here." New Hope, a quaint town on the Delaware River, sits a few miles from where the murders occurred over a three-day span at the DiNardo family farm in Solebury. 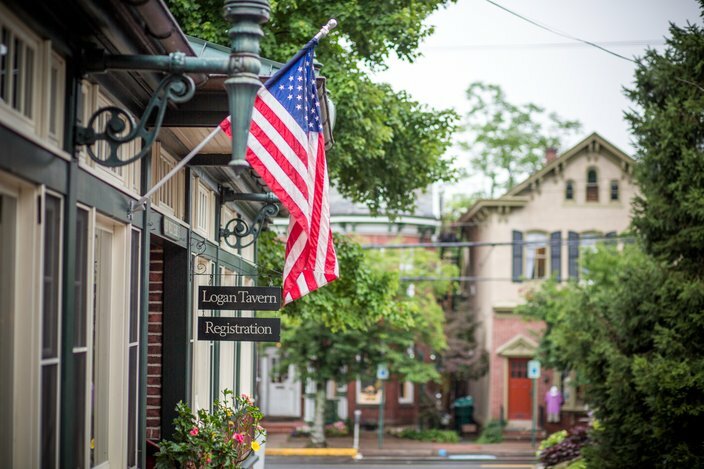 Located in an area known for its beautiful countryside, the DiNardo property sits between New Hope – a quaint little town along the Delaware River – and Peddler's Village, a popular shopping and dining destination for residents and tourists in Lahaska. Loretta Johnson, 68, of nearby Lambertville, N.J., across from New Hope, praised the community support shown to the FBI and police officers investigating the crime. Many people delivered food to the investigators, who worked in shifts around the clock, or assisted in other ways. "The police and the FBI and all those involved have been excellent," said Johnson, who owns a boutique in New Hope. But she wondered how the families of the victims would move forward. "There's nothing you can say that will make it right," Johnson said. "And that's the bottom line. I feel very bad for the parents." Residents described a mixture of emotions being displayed within the community. There is shock. There is anger. And there is sadness. One day, there may be justice. But even that won't bring the four men back. "This is a quiet town, mostly," said Alyssa Vanni, 20, of Newtown, during a visit to New Hope on Friday. "We're very rarely in the news. To have something this big in the news in your hometown is ... heartbreaking is a good word to use." Talk of the investigation not only spread in coffee shops, bars and homes. But it also traveled across social media, where rumors swirled as investigators initially held many details close to the vest. "A lot of my friends have mixed emotions," Vanni said. "Their hearts go out to the families. But yet their hearts are angered toward the killer." DiNardo, who confessed to his role in the killings on Thursday, will have his life spared. In return for his cooperation, which led investigators to Patrick's body and implicated Kratz, Weintraub agreed not to pursue the death penalty. "Some people were wanting to come down a lot harder on the boy," Daniel Pedinoff said. "When some people heard that the death penalty was being waived, they were upset by that." Pedinoff, 26, a Newtown resident who works in New Hope, was not among them. Like others in the community, he opposes the death penalty. And if DiNardo had a mental health issue, Pedinoff also supports factoring that into his sentence. Though charges were announced, the investigation will continue with a possible murder trial ahead for Kratz. Meanwhile, many in the community will continue to struggle to grasp why four men were killed last week. "You don't think about it happening in your town that's literally the most safe place," Pedinoff said.